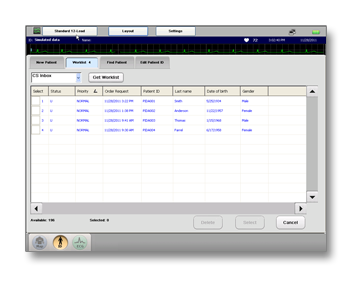 Epiphany offers customers secure, bi-directional communication of patient demographics and order information between its Cardio Server management system and your devices. bi-directional communication of demographic information between the Cardio Server management system and ECG, PFT, Holter, event, stress, CPET/CPX, EEG, and pacemaker/ICD follow-up devices. Features and capabilities vary by vendor and model/device.